Leicester City will welcome Manchester City to the King Power Stadium, in the highly anticipated clash, with no new injury concerns to their side. The Foxes will be looking for a strong performance in the wake of the international break as they look to get their underwhelming season back on track, however, they know that this is no simple task against the Sky Blues. 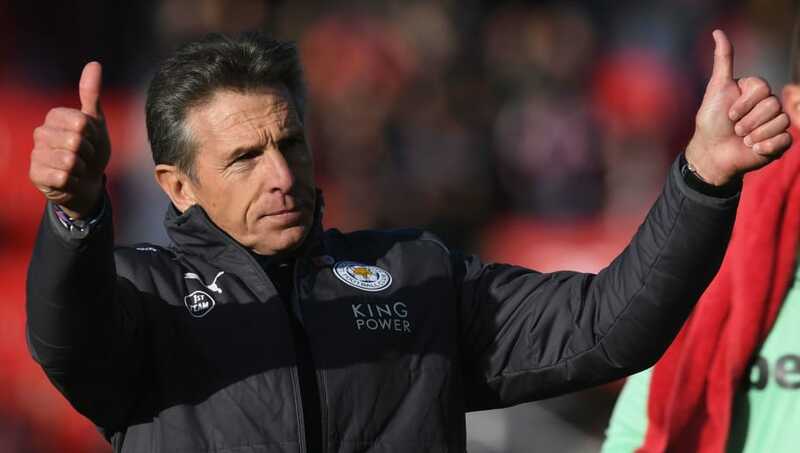 Claude Puel replaced Craig Shakespeare as Leicester boss last month and has performed well thus far, accumulating a win and a draw for the Foxes, as he looks to continue in this form going into the game against the league leaders. Puel's men will definitely be boosted by the fact that their side has sustained no injury concerns through the international break, although the 56-year-old has revealed that there will be two players omitted from the line-up due to ongoing injury concerns. “We have no new injuries, which is a good thing,” Leicester boss Puel revealed on the​ club’s official website. “Otherwise Robert Huth and Matty James need a little more time. They have little injuries. The Frenchman claimed that Huth and James would not be available for the game as they are not completely fit, although he is optimistic about the progress made with both in the recovery process. “[Vicente] Iborra is available. Ben Chilwell also; it was a little injury for the last game. Although Leicester would have wanted everyone in their squad to be available for the game, Puel will have no complaints about the side he puts forward for the task of taking on the league leaders. The foxes will be looking for a good result as they look to move up the table from their current position at 12th.